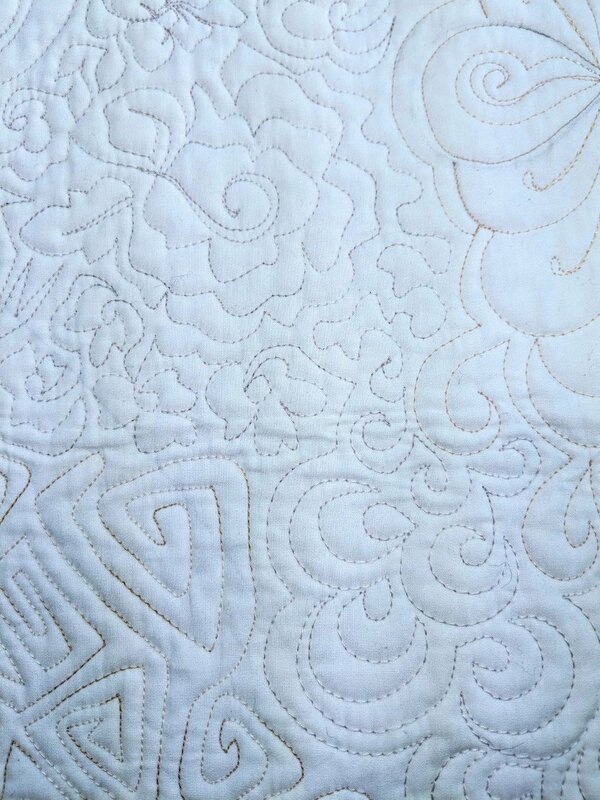 Beginner Quilting experience. Doodle Quilting book by: Cheryl Malkowski. (2) 1/2 yard quilt sandwiches ( one plain muslin, one your choice) Basic Sewing supplies, drawing paper and colored pencils, sewing machine,walking foot with seam guide, freemotion foot, safety pins, marking pencil, small scissors and basic sewing machine supplies with 45 and 60 degree lines, assortment of threads of color and weight to match your project. A work extender table and machingers gloves are recommended.